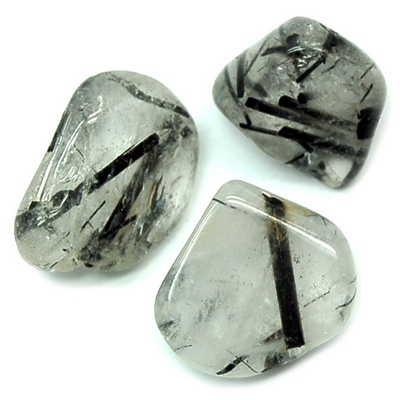 Click here to see Tourmalated Quartz in our online directory. I don't have a lot of retail or shops offering Crystals in my area, however, a few are starting to pop up. I wanted a crystal pendant that would protect me from absorbing negative energies/vibrations, physically & cognitively or psychically; and also clear & ground while enhancing my spiritual journey to enlightenment as a Spiritual Medium Healer! I felt compelled several weeks ago, to visit a local shop after dropping kids at school. Scoped it up and down, tried on several pieces of jewelry, then found two pendants, didn't stand out as colorful, pretty, unique, etc. They both are smaller in size, ~sz. of nickel? There were many other things in the store, far more eccentric, unique, eclectic but I kept being drawn to these two pendants. I'd look at them, then set them back go look at other items, come back...and so on. I had NO IDEA what I needed, in terms of what crystals, to offer these traits, therefore I had ABSOLUTELY no idea what these crystal pendants would help with. And, as mentioned, they're not the most attractive of Crystals available, but the faith and trust that if you put intention in it, give it to God, and trust your guides, THEY WILL answer you led me to say, "I guess I'll pick these" (I had a coupon for one item)....I was trying to decide between the two (still haven't looked up the second Crystal Pendant yet) back and forth at the counter again.....I was late getting my daughter....I couldn't decide---Ii WASN'T MEANT to decide, so I got both. Then today, been feeling REALLY down, lost, out of sync/touch, hypersensitive/emotional, so I decide, almost a whole month later to open this "homely" crystal pendant and wear it. Took kiddos to school, came home, and was led to this site...almost immediately find this information which is SHOCKING to say the least, hence me need to give every last detail and testament. Every single trait, purpose I wanted I have in this Crystal, unbelievable. AND THEN, I read further about the metaphysical traits.....why I'm surprised by now I have NO CLUE, but it's for my astrological signs...I'm a cusp of a libra & scorpio, & in numerology, the number 4 is my life path number.....CRAZY, validating, lovely. I desperately needed this boost today! Thank you for such a thorough site, AMAZING resource, and abundance of information and tools!